Whenever I cook for friends, I see it as the perfect excuse for making a meal that is both creative and gourmand. Good food, hearty wine, and breezy conversation are all that’s needed for a perfect evening. Just the other day I invited my dear friends Paige and Mel over for a much-needed girl’s night-in. Considering it was a weeknight, I sought out a recipe that was both healthy and convenient. 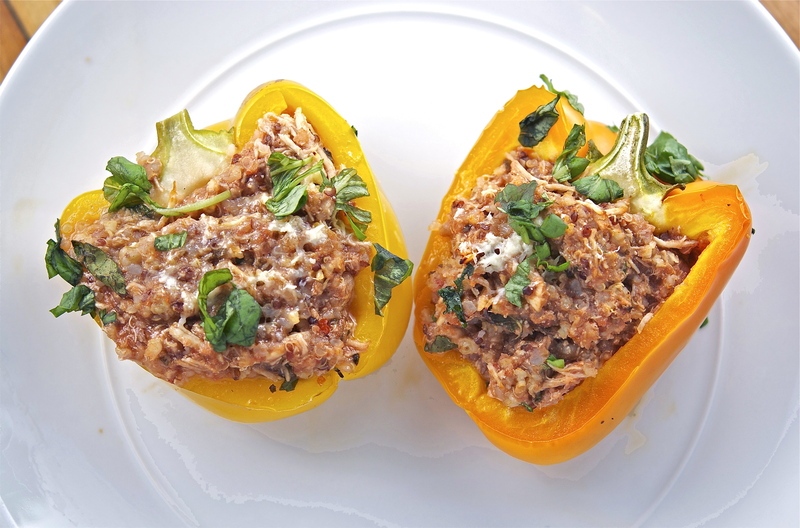 These rustic Italian Stuffed Bell Peppers were the result of my queries, and they were absolutely delicious. Bell peppers are a vegetable that almost anyone can love – they are colorful, naturally sweet, and remarkably versatile as a food item. Essentially any cooking method applies: roasting, sliced, sauteed, grilled, broiled, baked, smothered, used as dippers, pureed. 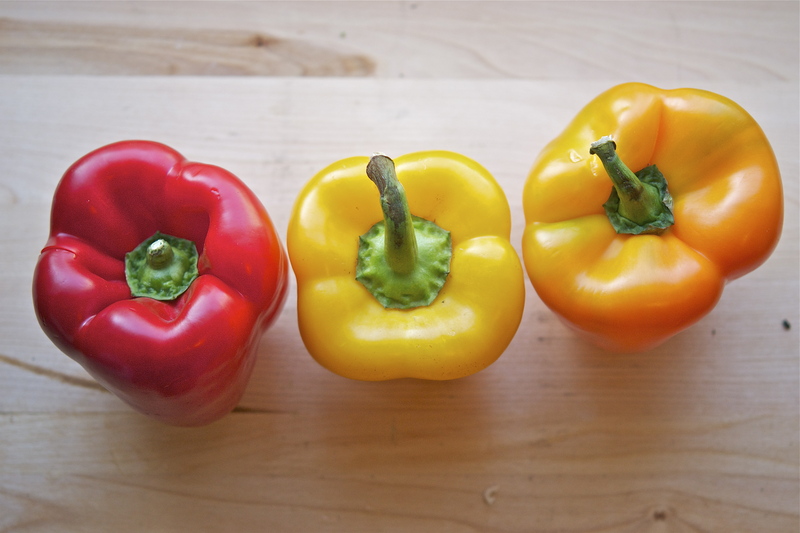 Red, orange, and yellow bell peppers are typically the “riper” varietals of the bell pepper cultivar. They are (of course) more expensive than the not-as-tasty green bell peppers. Though this may tempt you to opt for cheaper variety, the extra $ has its benefits: colorful bell peppers have nearly twice as many nutrients and vitamins as their green cousins. 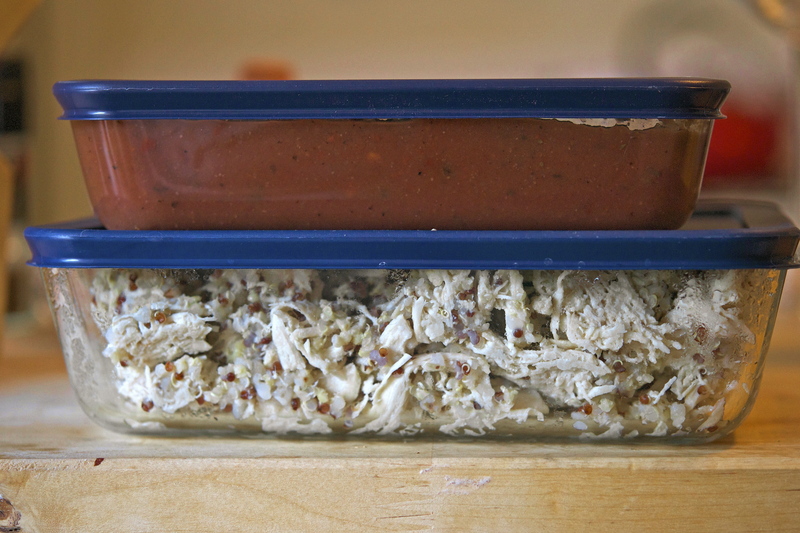 I mentioned the need for this meal to be convenient – the night before, I prepped the chicken & quinoa filling, and made the tomato sauce. This cut my time in half for day-of prep, allowing the three of us to sit down and enjoy each other’s company (rather than being tied to the kitchen the entire time). 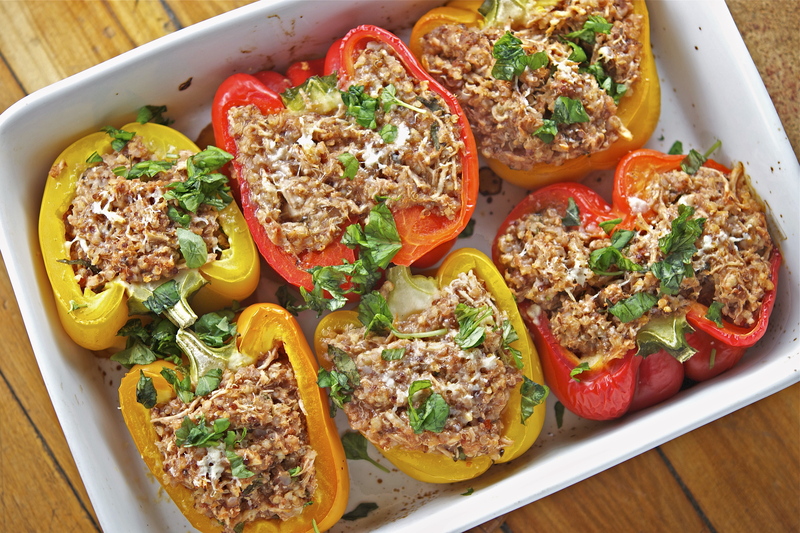 You can go so far as to stuff the bell peppers a day in advance – just make sure to cover the pan before refrigerating! I’m fairly busy most days, and this kind of meal is perfect for anyone who prefers the social aspect of dinner parties over the operative side. 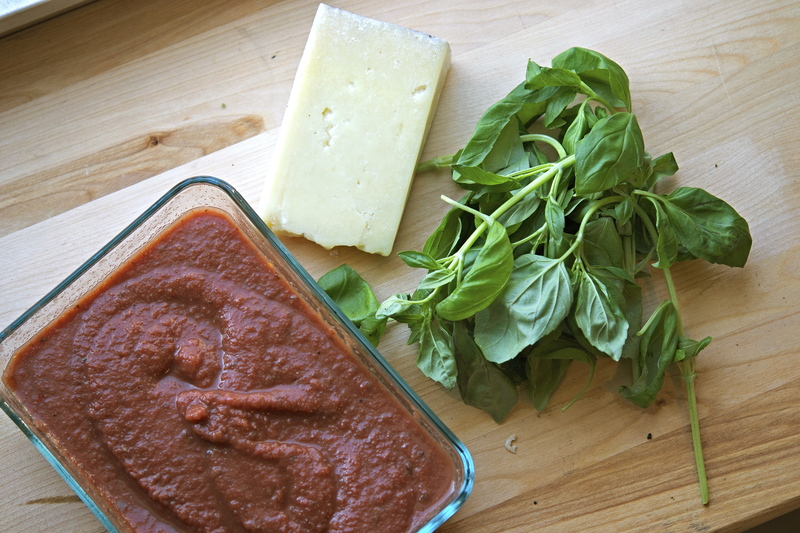 My calling these “Italian” is a nod to the filling’s iconic staples – tomato sauce, fresh basil, and Parmesan Reggiano. Each brings a unique layer to the dish: the sauce a creamy depth to an otherwise unconventional protein/grain filling (chicken and quinoa), the basil a burst of freshness that veils the make-ahead component, and the cheese…well, cheese is just about the best thing ever. The resulting dish was colorful, flavorful, and made for a beautiful presentation at serving. Click HERE to see the recipe for this nutritiously vibrant meal! As aforementioned, Dvořák had a unique talent for fusing ideas and emotions into beautiful creations that performers and audiences similarly adore – this piece beautifully demonstrates said talent. The recording below is with the Beaux Arts Trio, performing the first movement Lento Maestoso. The entire piece is on YouTube, segmented by movement (numbered in the right sidebar). I highly encourage you to listen to all 6, if you have the time – enjoy!